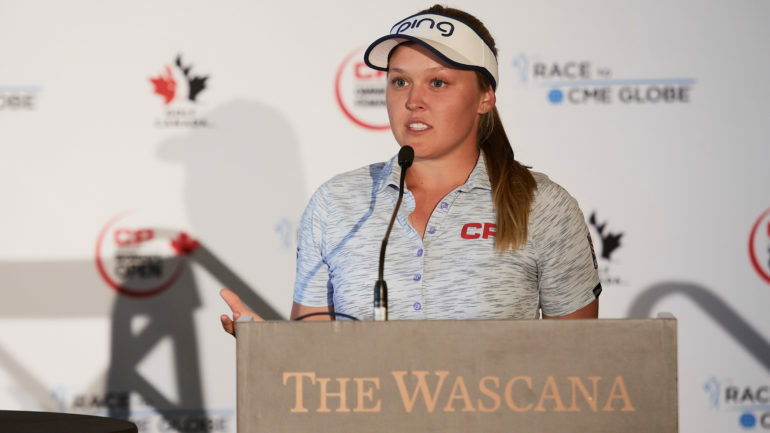 REGINA – Brooke Henderson stood at the Wascana Country Club podium and looked over at the CP Women’s Open trophy, resisting the urge to pick it up. 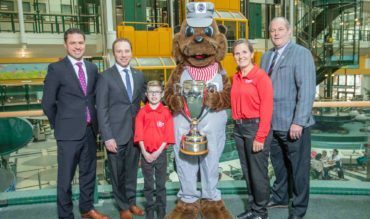 Henderson will aim to be the first Canadian since Jocelyne Bourassa in 1973 to capture the women’s national championship when Regina hosts the tournament from Aug. 20-26. The following day, she fired a course-record 8-under 63 to jump up the leaderboard and eventually finished the tournament tied for 12th. South Korea’s Sung Hyun Park won the 2017 tournament and is expected to participate once again this year. A total of 156 golfers will compete at the 2018 CP Women’s Open which has a tournament purse of US$2.25 million with the winner receiving $337,500. Henderson is currently 18th in the world rankings and fifth on the LPGA’s money list this year with $602,142. 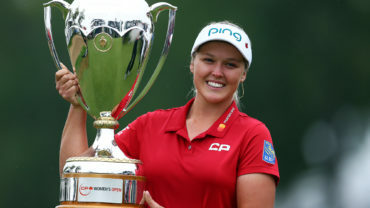 She had to withdraw from the U.S. Women’s Open earlier this month and head home to be with her family after her grandfather Robert Moir died from cancer on June 1. He was 81.